Composing high-quality substrates/growing media begins with selecting the best resources. Jongkind has a reputation to uphold in this field. An independent choice can be made from a selected range of the most reliable resources available on our planet. Peat is understood to be an accumulation of more or less decayed plant remains. Peat consists of the remains of plants that grew and died in that same place. Three difference classes of peat are distinguished worldwide. Jongkind uses only peat of classes 1 and 2: little decayed peat from raised bogs and sphagnum peat. The peat of these two types is very stable, meaning that, providing it is cut in the right way, it will retain a good structure for a long time, without shrinking. The best option for most white peat substrates is high-quality, fractioned peat from Sweden, which has a stable structure and a low dust content. Jongkind has made long-term agreements with reliable suppliers in Sweden about the cutting, drying and mixing of the peat. For example, we use only peat that contains no, or very few wood remains and that has been allowed to dry for a year, to prevent the risk of heating. Besides a high air content, this superior Swedish white peat also has a predictably high water absorption capacity (favourable pF curve and good WAC). The Swedish peat suppliers produce three types of peat that are dried and then mixed, enabling us to guarantee the consistency of all our supplied batches. Swedish sphagnum peat constitutes the basis of almost all the substrates we compose. Upon request that peat can be supplemented with other, less spongy types of peat. The raised bogs of Ireland formed more slowly because of that country’s geographical situation. The peat is consequently a little more decomposed and of a dark brown colour. Irish peat that is cut in the right way is a bit stiffer and has a lower water number. The peat dries less in the field, and is consequently less consistent. Small portions of Irish peat can be mixed with Swedish peat to obtain a less elastic mixture. German peat is the most decayed, dark brown bog peat, with a high density and a high water-retention capacity. 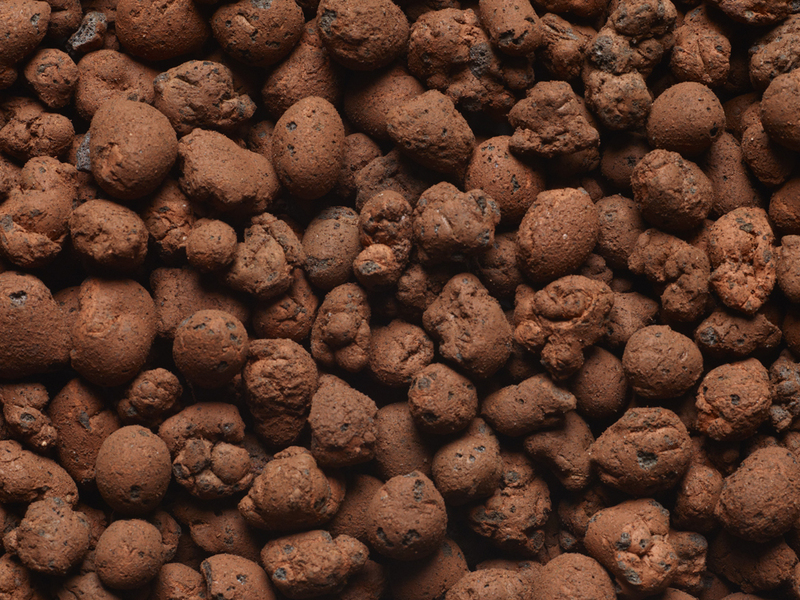 The bottom layer in the German peat profile has a high carbon content, giving the peat substrate a high absorbing value. German transitional peat has a low pH and may shrink substantially, but it is very effective as a nutrient buffer. German peat is becoming more and more scarce due to social developments. Jongkind’s coco is thoroughly rinsed and buffered to remove interfering elements such as potassium, sodium and chlorides and reduce the salt content to an EC of less than 0.4 mS/cm. The coco is then buffered a second time. During this process calcium is introduced to remove excess sodium and potassium from the binding complex. The rinsing and buffering results in very clean, neutral coco that will not adversely affect the composition of the substrate. Apart from their application in hydroculture, clay granules are also used as auxiliary substances in very specific substrates, for example urban substrates and substrates intended for perennial crops.